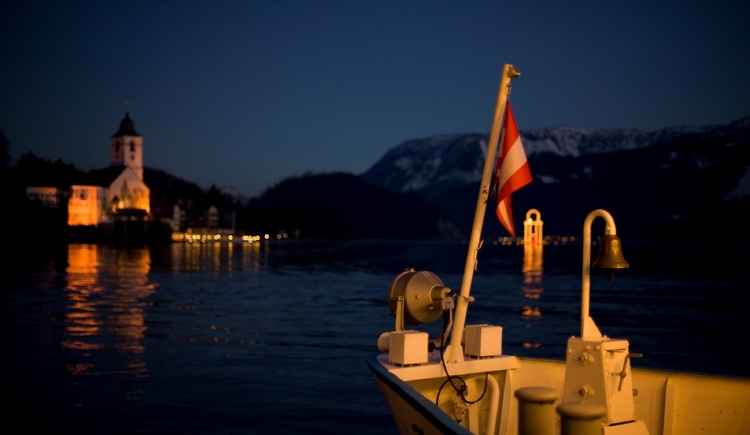 Ship ahoy on Lake Wolfgangsee! 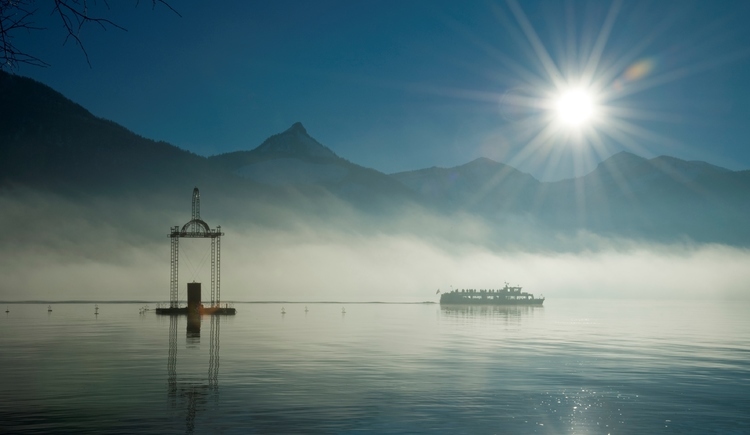 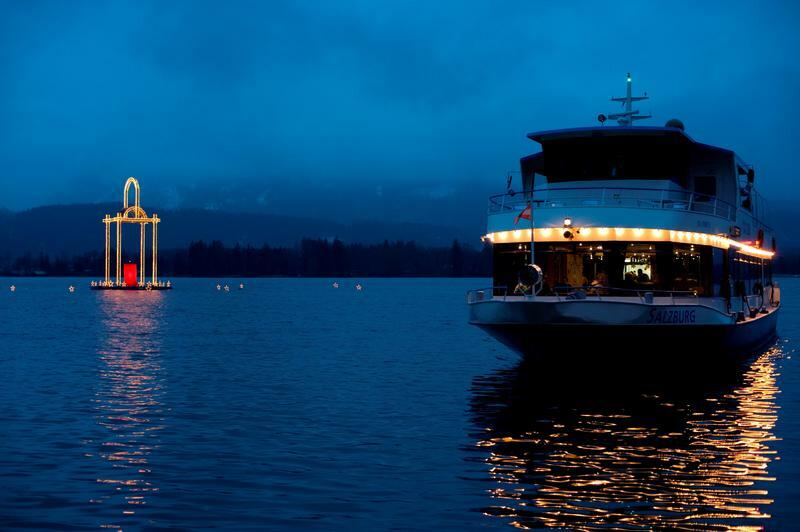 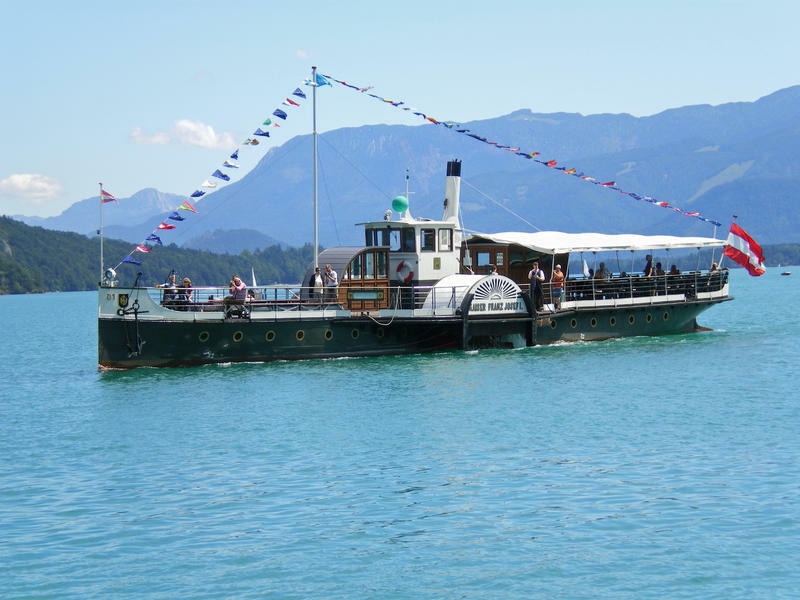 The passenger boat company on Lake Wolfgangsee has been in operation since the times of the last great Emperor. 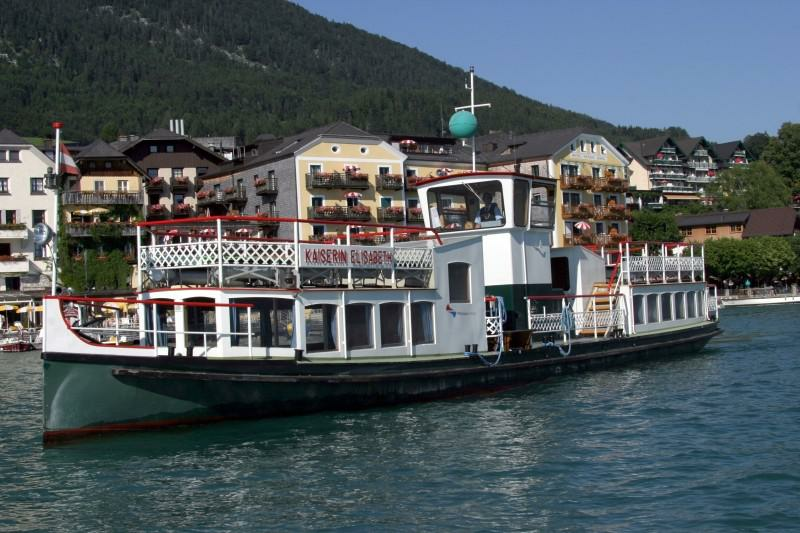 The paddle steamer "Kaiser Franz Josef I" was first launched in 1873 and was hailed at the time as a “technical achievement”. 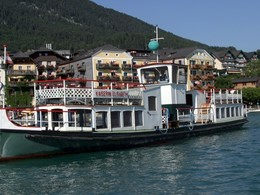 The 33 metre long nostalgic vessel has starred in numerous films and is still part of the fleet. 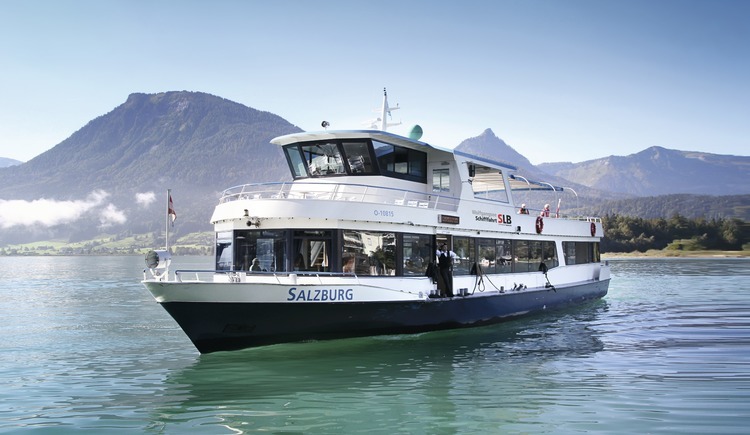 Today, the fleet numbers 6 vessels with the flagship “Salzburg” at the forefront. 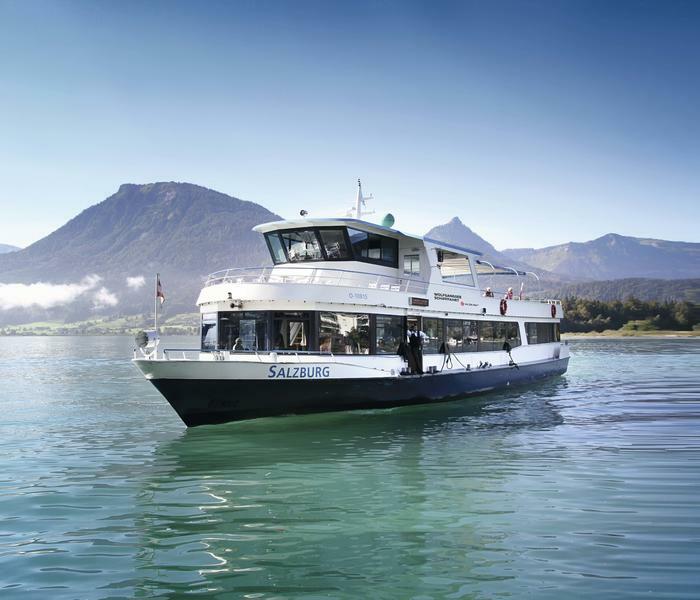 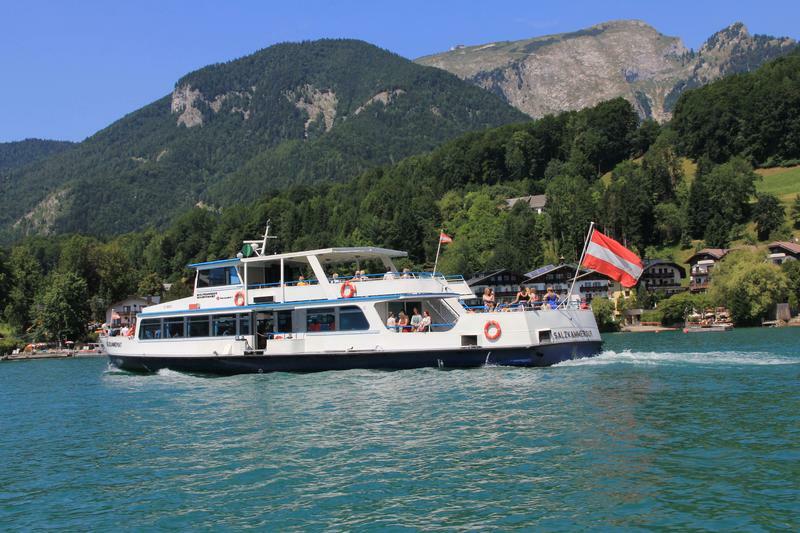 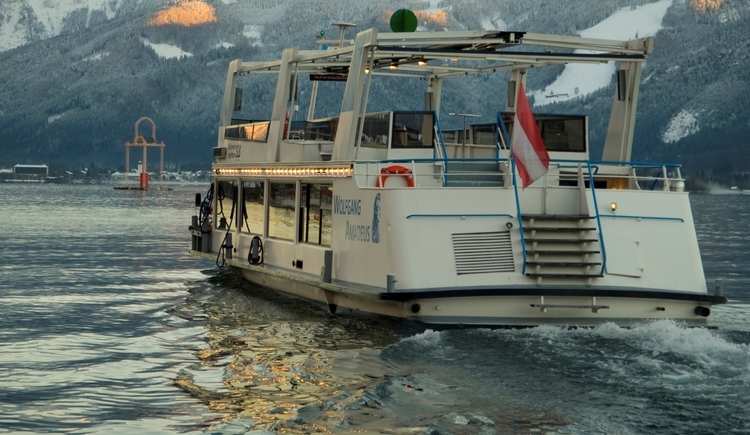 The largest boat is the "Österreich" (Austria), which can accommodate 365 passengers. 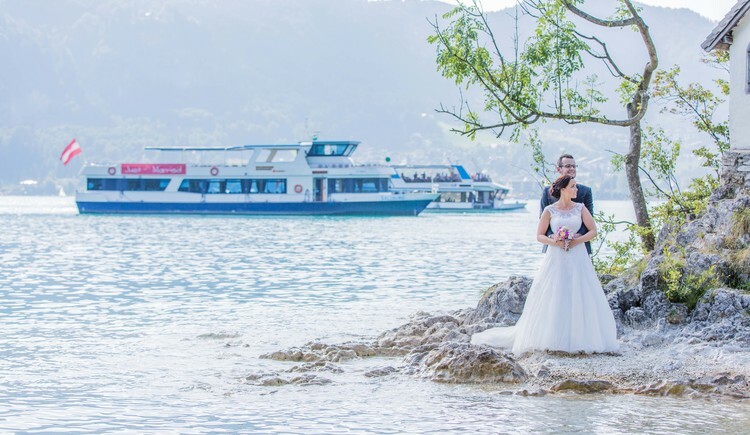 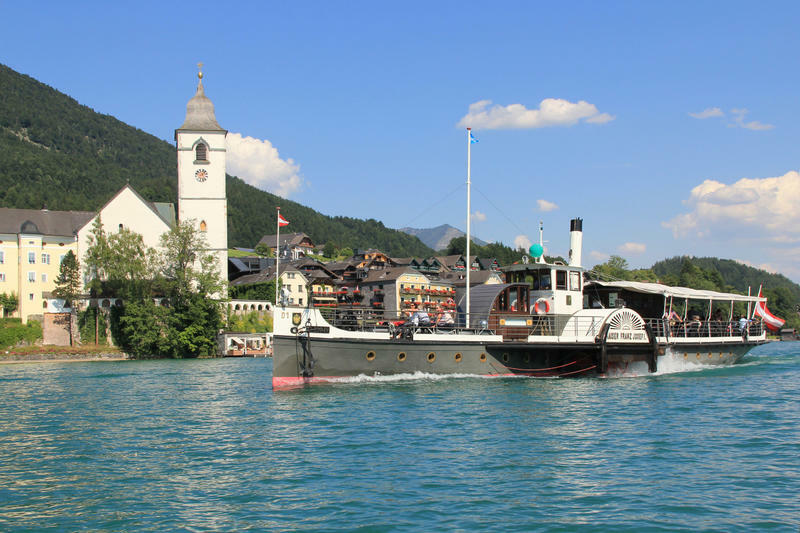 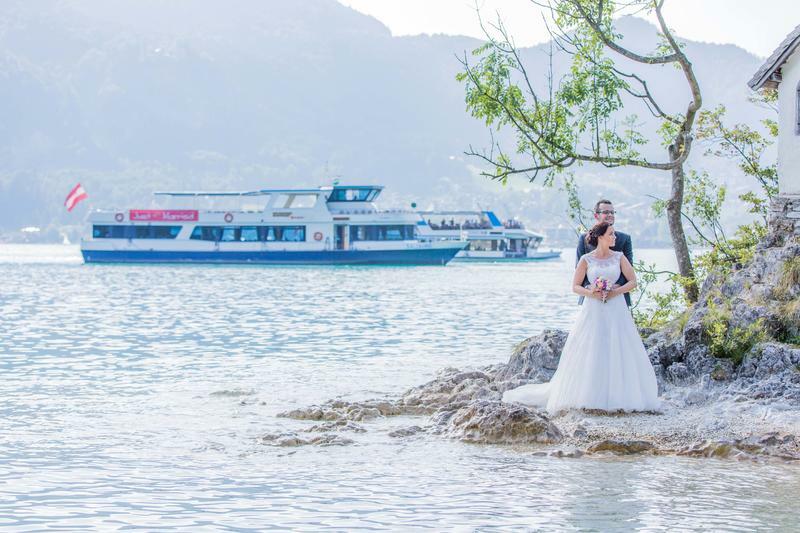 The traditional Lake Wolfgangsee fleet of boats belonging to the "Wolfgangsee Schifffahrt" company, with its historic paddle steamer the "Kaiser Franz Josef" and four other passenger boats links the three villages around Lake Wolfgangsee in the most romantic way! 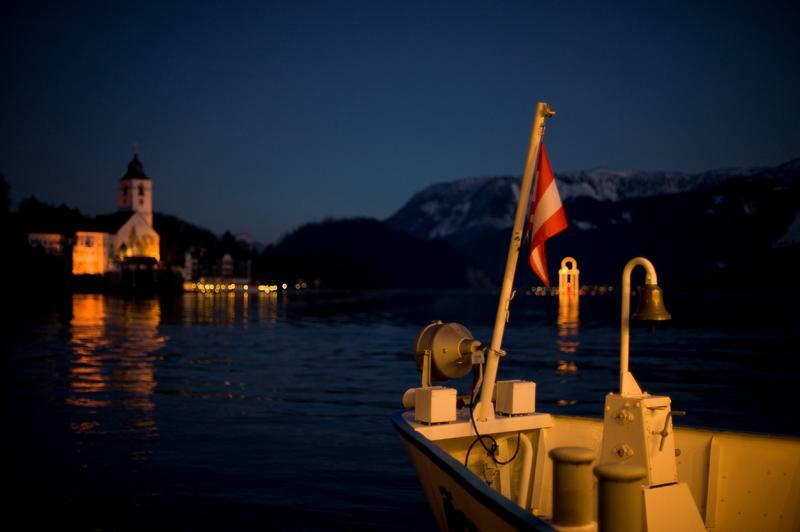 If preferred, there are also private boating companies operating on Lake Wolfgangsee. 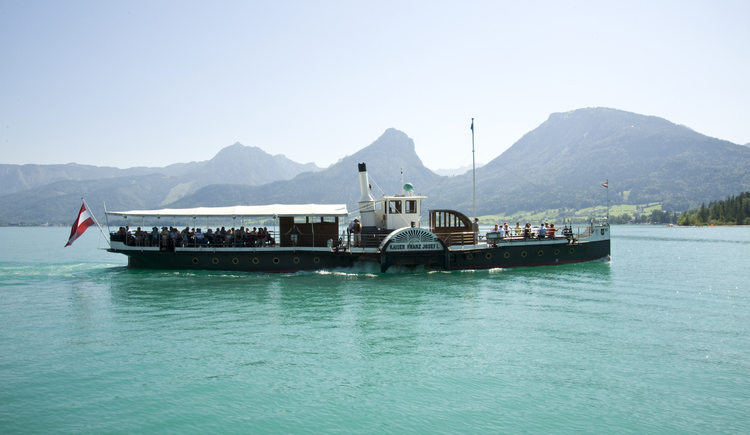 Long before the first paddle steamer “Kaiser Franz Josef I” sailed on Lake Wolfgangsee in 1873, business was already brisk on the water. 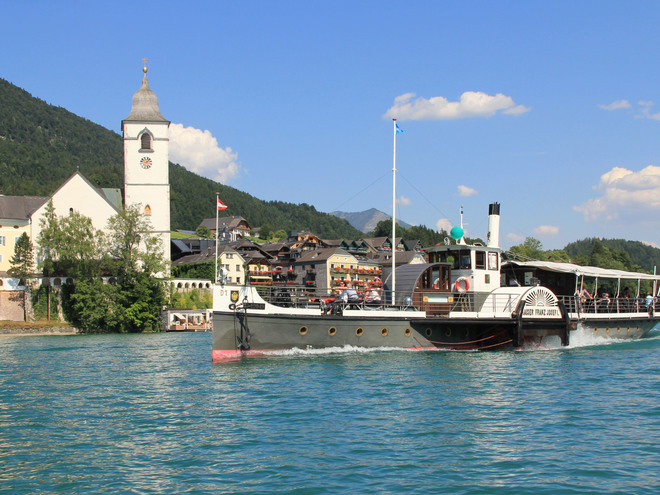 This was, in the main, pilgrims who were rowed to and fro between Fürberg and St. Wolfgang in so-called “Traunderln” (flat bottomed boats similar to punts). 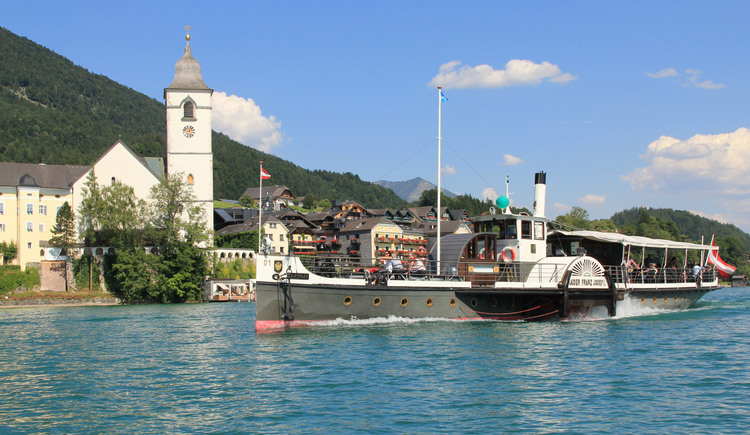 In 1869 an engineer for the Empress Elisabeth Railway, Berthold Currant, together with the director of the Steyrermühl Paper Factory, Albert Pietz, endeavoured to obtain a concession for boating trade on Lake Wolfgangsee. 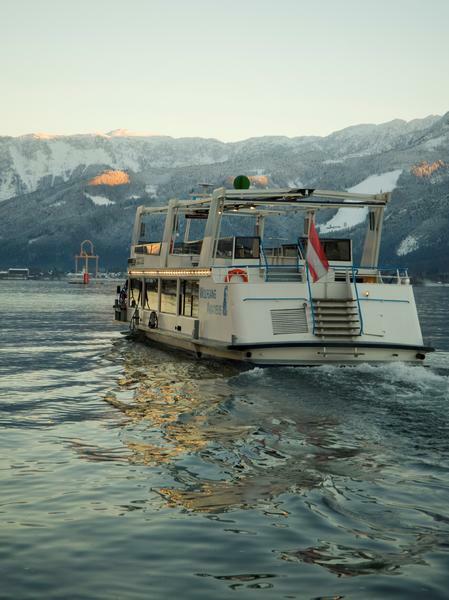 The first boat was delivered in sections at the beginning of 1873 from Linz to Strobl. 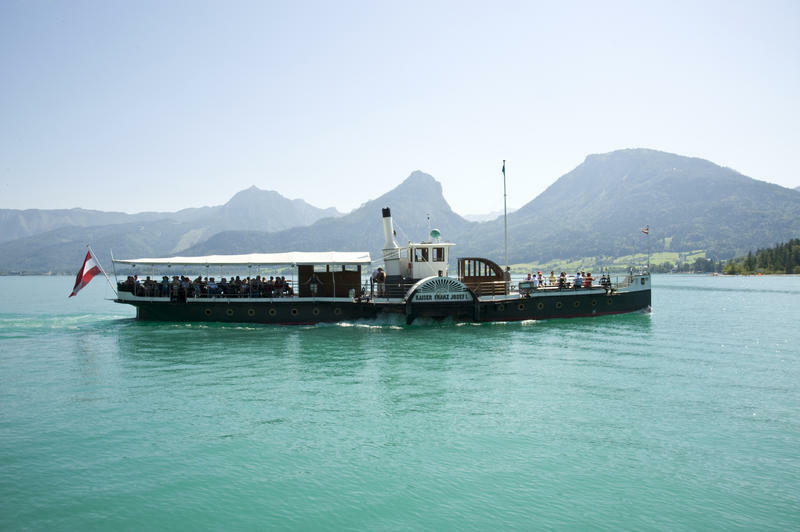 On 20th May, 1873 the first steamboat, the paddle steamer “Kaiser Franz Josef I” completed her maiden voyage... and the boating company on Lake Wolfgangsee was created. 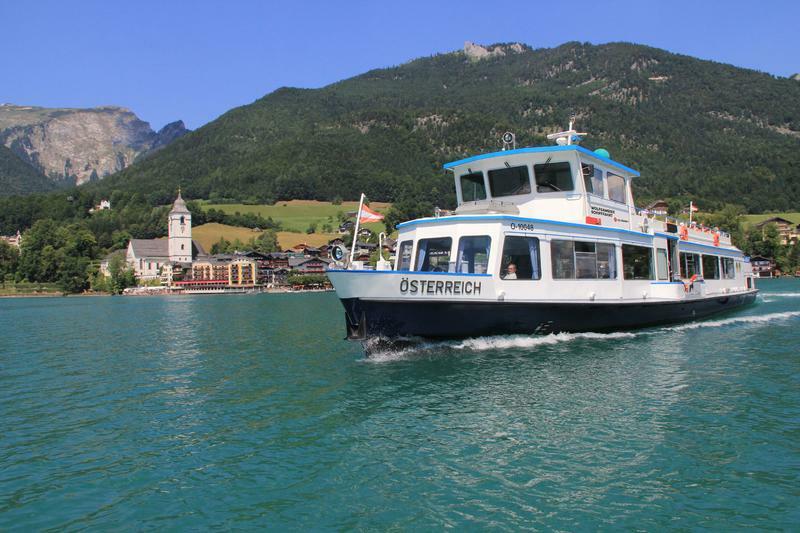 The first timetable saw four trips scheduled per day in the summer months going from Strobl - St. Wolfgang - Fürberg - St. Gilgen. 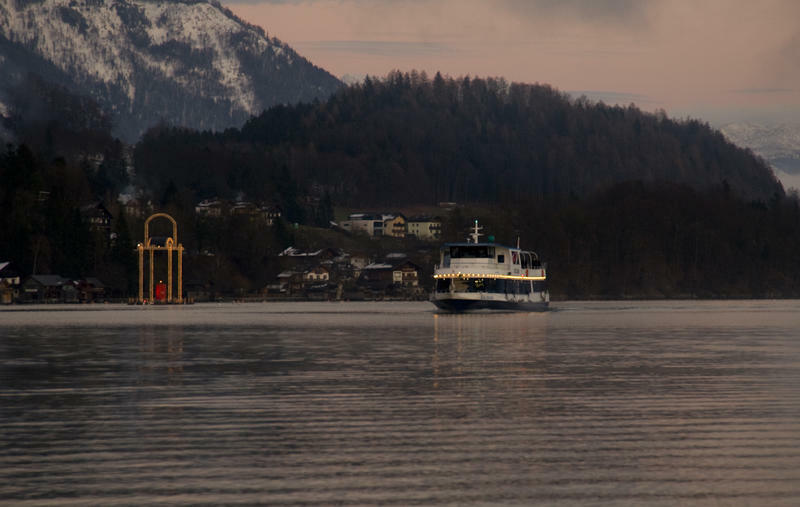 The journey took 45 minutes. 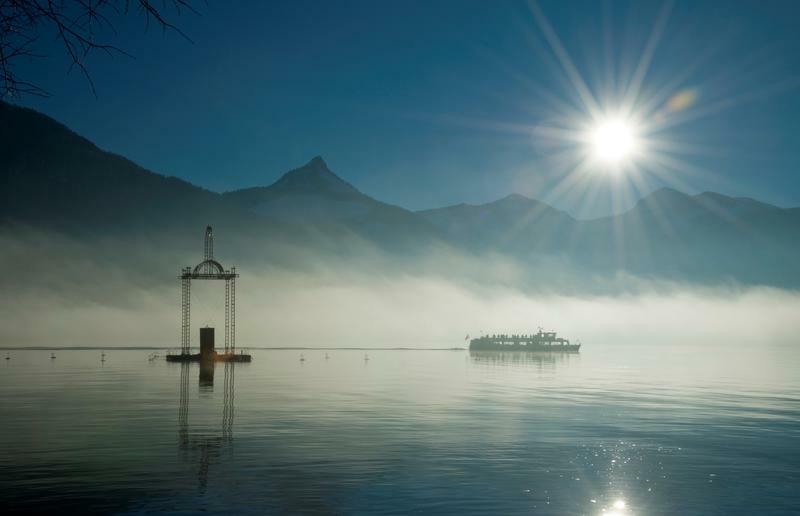 Because business wasn’t very profitable in the short summer months, Currant pushed for the building of a railway on the Schafberg Mountain. 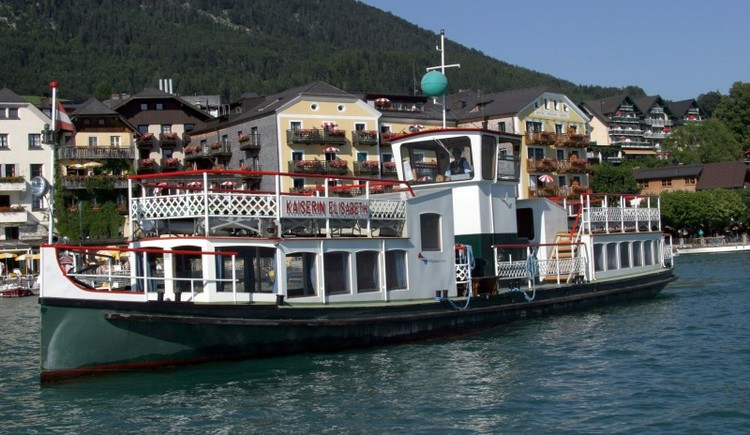 In 1886, Currant bought a propellor-powered steamboat from the Budapest Ferry Company for the company on Lake Abersee (the old name for Lake Wolfgangsee) which has been in service on Lake Wolfgangsee since 1888 under the name of “(Kaiserin) Elisabeth” (the Empress Elisabeth). 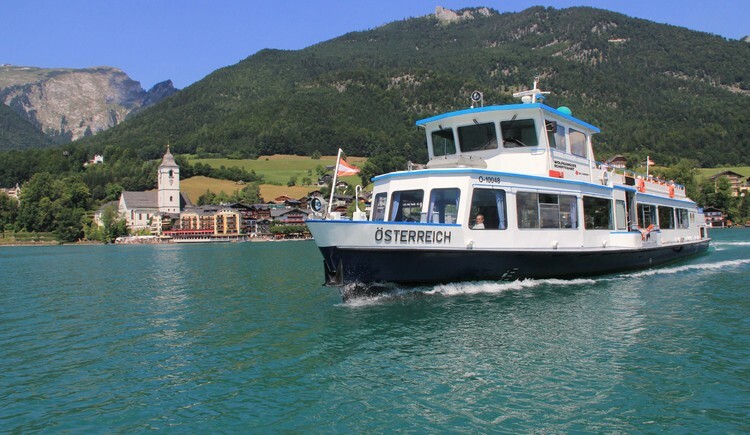 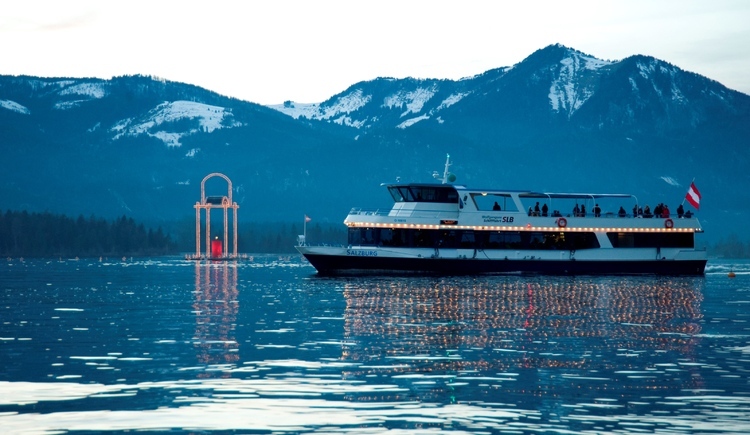 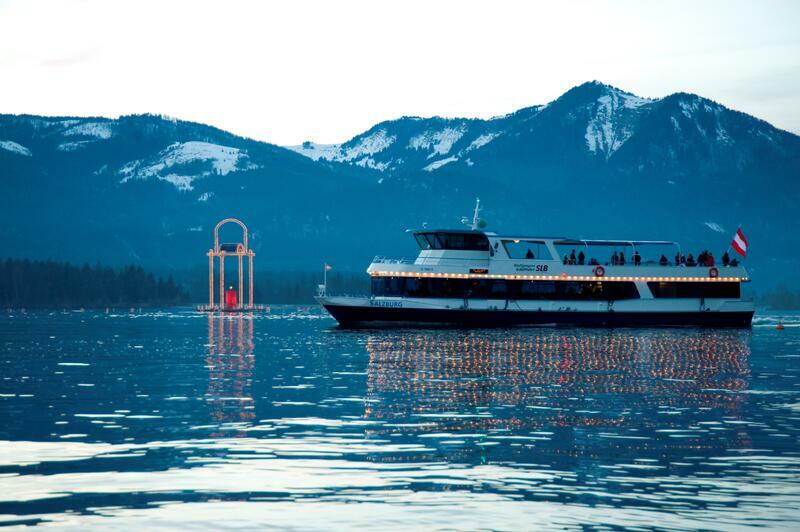 It wasn’t until 1893, after the building of the Schafberg Mountain cog railway, under the leadership of the SKGLB that the boat company’s business took an upturn. 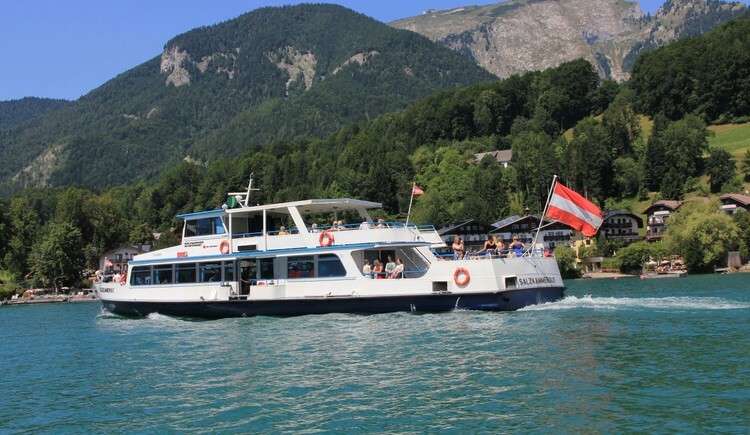 After several changes of ownership (tourist office and the German State Railway), the ÖBB (the Austrian Railway Company), bought the WolfgangseeSchifffahrt (Lake Wolfgangsee Passenger Boat Company) together with the Schafberg Mountain cog railway and the Hotel on the Schafberg Mountain summit. 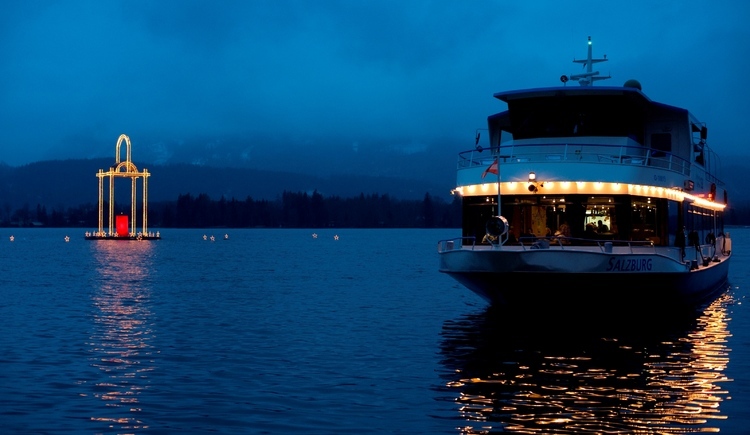 After the end of the war, there was a huge upsurge in business and over the years the fleet was actively extended. 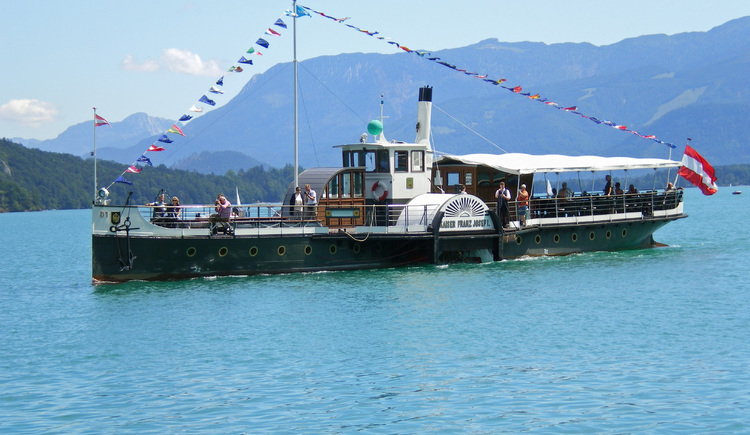 Today there are 6 motor-powered boats including the Paddle Steamer “Kaiser Franz Josef I”. 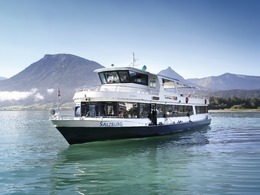 In April 2006, the “Salzburg AG für Energie, Verkehr und Telekommunikation” took over the running of the Schafberg cog railway and the Lake Wolfgangsee boat company, and in so doing this energy and infrastructure service provider has expanded its area of operations with two leading tourist enterprises in the Salzkammergut. 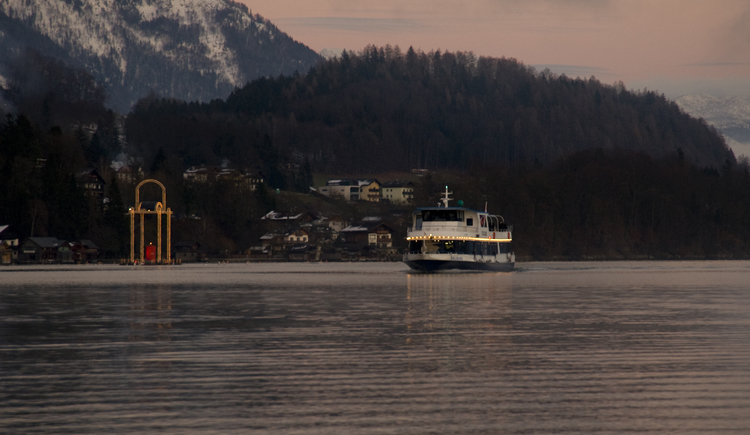 Journey time: St. Gilgen - Strobl - 1 hour 15 minutes.